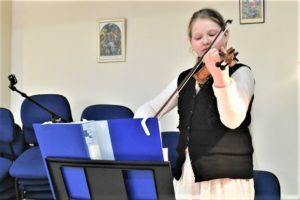 Last Friday evening, almost 40 members and visitors were entertained with an evening of Klezmer music by a very talented 12 year old Russina girl called Eva Andrinova. 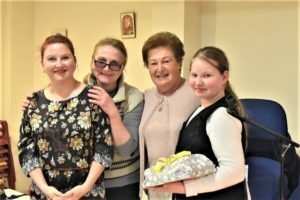 She played both keyboard and violin and gave us a beautiful array of musical pieces, ably assisted by her mother, Tatiana who, through an interpreter, gave us the information on all of the pieces that Eva was going to play. This hour of music was enjoyed by all present and was a lovely start to the evening prior to our usual Friday evening Shabbat service. 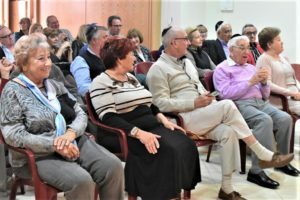 After the service, there was a superb Kiddush. 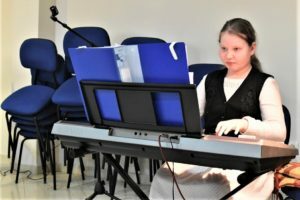 Eva, that weekend, then entered a musical competition that weekend, where she won the top prize. Well done Eva and thank you so much for entertaining us all. Attached, are some photographs from the evening.